For more crew bios, visit our Cast & Crew photo album on Facebook. Aaron directed, produced, and edited On the Way, a feature-length documentary about Milwaukee singer, songwriter, and guitarist Peter Mulvey. Aaron also produced and edited the feature-length dramatic film Interrogation, written and directed by John Chase (Venice Underground) and executive produced by Jeff Most (The Crow). Aaron has also worked on comedies, acting as producer and editor of the award-winning film Jack Milton: Fairy Tale Detective, and as director and editor of the critically acclaimed satire The Albino Code, which was featured on CNN, MSNBC, Inside Edition, and Entertainment Tonight. 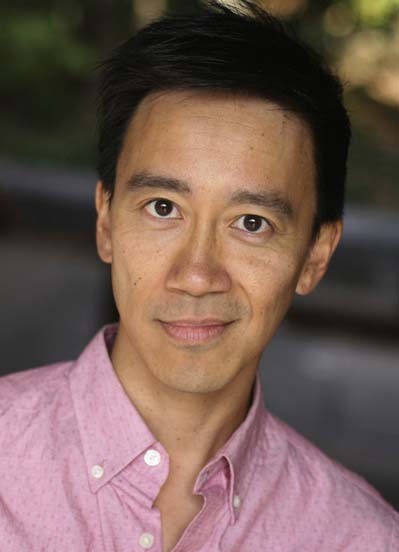 Most recently, Aaron edited Fate Scores, his first collaboration with director and actor Albert M. Chan, which was recognized by the National Film Board of Canada. 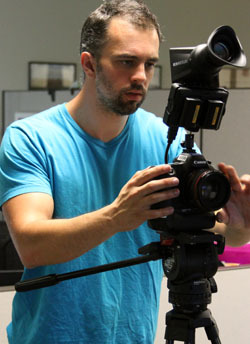 Andrew served as cinematographer on the films Night and Lemonade Stand, the latter of which he co-directed. Lemonade Stand premiered at the Boston International Film Festival. Andrew is also an accomplished singer, songwriter, and guitarist, and fronts the electroacoustic rock band Nalband. Alma Baumwoll is a teacher, writer, dancer, crafter, and filmmaker currently pursuing graduate studies in Biology at Northeastern University. 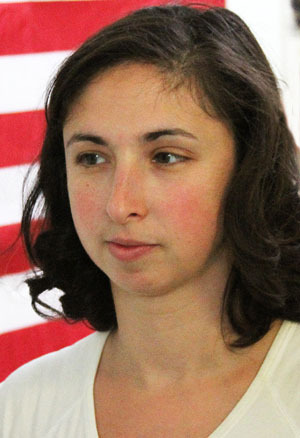 She earned her degree in English Literature after attending Smith College, Boston University, and the Salt Institute for Documentary Studies in Portland, ME. After receiving her publishing certificate from the Denver Publishing Institute, she tutored and substitute taught high school before becoming a teacher/counselor at Farr Academy in Cambridge, MA. Her poetry has been published by Arrowsmith Press, Shakespeare�s Monkey Revue, and Compass Press. Her first young-adult science-fiction novel is working its way to publication, while her others are working their way to completion. She dances for Alisia Waller�s And So No Sin Performance Troupe, dedicated to the creation and performance of original works of art drawing from the traditions of postmodern dance, stage combat, pantomime, ballet, performance art and theatrical dance. Alma learned how to book-bind and weave at the Cambridge School of Weston and has not been able to stay away from yarn since. As a weaver she sold scarves under the name Cherrywood Loom. As a knitter she can�t help herself from leaving written patterns to discover and create new projects. Her bookbinding skills now facilitate book-recycling; through her company Hardcover Art, she sells notebooks and purses created from discarded, hard-cover books. As a filmmaker, Alma served as associate producer for the psychological feature Interrogation, executive produced by Jeff Most (The Crow) and premiering at the Boston International Film Festival. She was also an associate producer for comedy The Albino Code, which garnered national attention from CNN, MSNBC, Inside Edition, and Entertainment Tonight, and furthermore she produced, directed, wrote, and edited Magic Albeeno Trickery: The Making of The Albino Code. Alma has also held a variety of roles in the art department, camera department, and casting department for various other film projects. 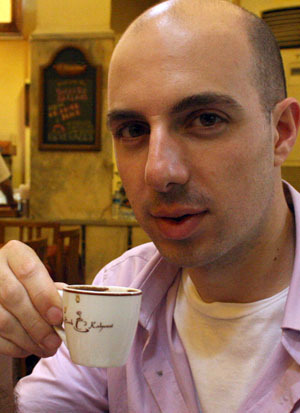 Ryan Leach is an American composer for film and television. His music has been heard on ABC, CBS, NBC, FOX and MTV. Ryan brings more than skill and passion to his work in a competitive realm of film scoring. His masterful blending of styles and genres makes him an inventive voice in a new generation of composers. Born in the Cajun South and raised in Australia, before relocating to just outside Philadelphia, his writing reflects a diverse musical background and product of his various locales. After graduating from Berklee College of Music with a Bachelors of Music in Film Scoring, Ryan made the move to Los Angeles. He began his LA career working for composer Michael A. Levine as assistant, music editor, and additional composer. It was with Levine that Ryan received his prime-time television debut, scoring additional music for Jerry Bruckheimer's Close To Home and Cold Case on CBS. In the Spring of 2007 Ryan moved with Levine to Remote Control Productions, Hans Zimmer�s facility in Santa Monica. 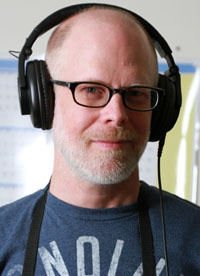 Being a part of Remote Control gave Ryan the opportunity to work with and learn from the top composers in the industry, as well as providing first hand experience on such films as Bee Movie (score by Rupert Gregson-Williams), The Simpsons Movie, and The Dark Knight (scores by Hans Zimmer). Ryan currently works from his studio in LA, writing original music for feature-length and short films, commercials, and new media. John was drawn to work on The Commitment as an adoptee himself. He has worked as a sound editor and mixer in the New England movie industry since 2003, with many projects involving people with disabilities. Through his work as a sound editor, John actively helps to support a director�s vision and enhance a film's mood. 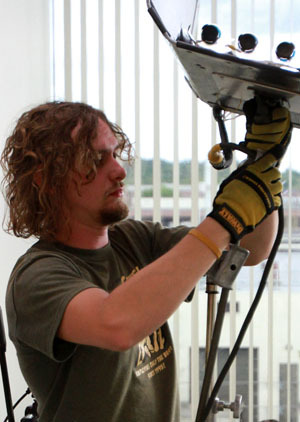 Ben has been a part of the New England film industry since 2007. Attending Keene State College for four years studying film production, he founded KTV (Keene Television) an organization that created original content for the campus network and recorded live events. KTV won the Outstanding Non-Academic Organization of the Year Award in 2009, and has gone on to be one of the fastest growing and most recognized organizations on campus. Ben was also the president of IFF (Independent Film Foundation) for one year. He has worked on Hollywood features such as Shutter Island and Surrogates, as well as television shows such as Boston's Finest, The Best Thing I Ever Ate, and Super Nanny. 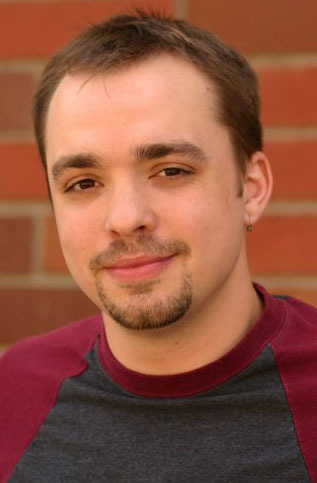 Richard served as Assistant Director for Chanal Productions' first film Fate Scores and serves as Producer for the upcoming Descendants of the Past, Ancestors of the Future. Originally trained in biology, Richard obtained a Ph.D. degree from Harvard University in 2008 and is engaged in breast cancer research at the Whitehead Institute for Biomedical Research at the Massachusetts Institute of Technology, where he holds a prestigious Susan G. Komen for the Cure Fellowship.